Recently the International Institute for Species Exploration at Arizona State University chose 10 species that it named the top 10. The species are chosen based on being unique, unusual or even ones that live in treacherous terrain. 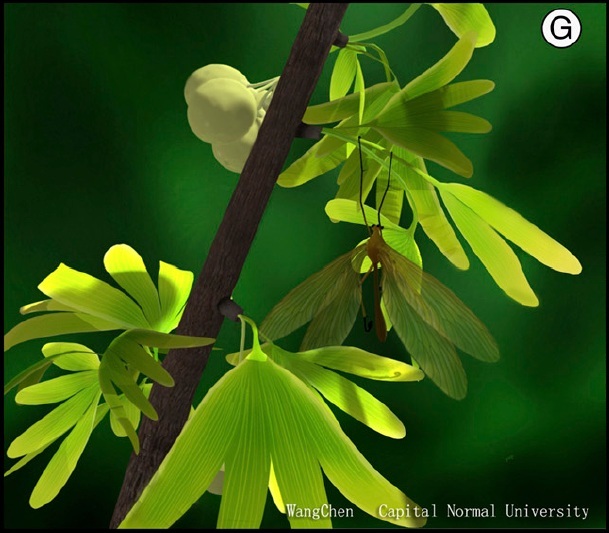 These new species are not just animals, but include plants and fungus as well! The lilliputian violet was named for the people of the island of Lilliput from Jonathan Swift’s Gulliver’s Travels. It got this name because it is one of the worlds smallest violets, growing no larger than 1 centimeter. 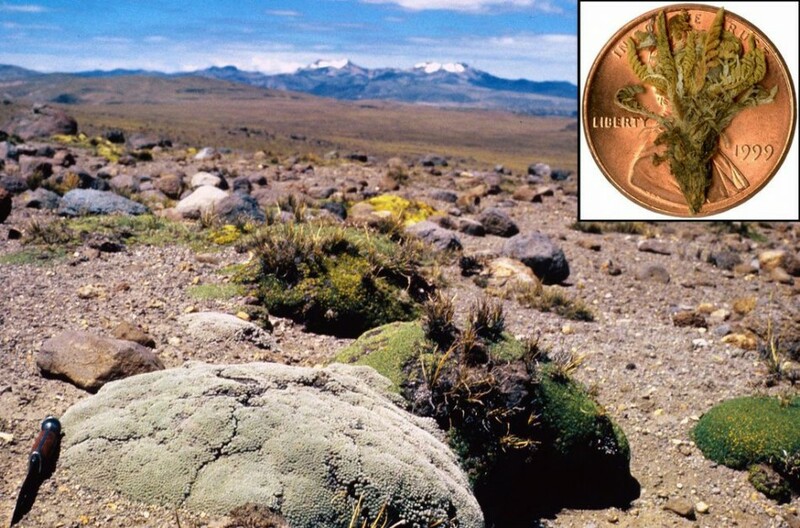 The lilliputian violet is found only on the Intermontane Plateau in the high Andes of Peru and was first collected in the 60’s, but wasn’t described until 2012 as a new species. 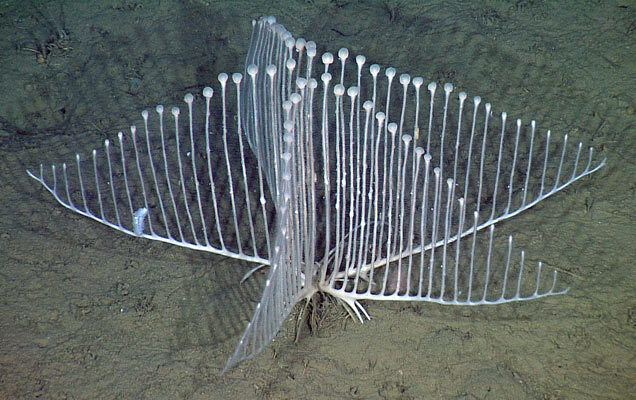 The lyre sponge is a carnivorous sponge that actually can eat copepods and other crustaceans! It was named because of its lyre, or harp-like, appearance and is covered in hooks and spines that help it to capture its prey. The bulbous protrusions at the tip of the sponges branches are actually produce sperm. It is even thought that this sponge is better adept at reproduction because its structure allows it to catch other sperm more easily. It is found off the coast of the California in the deep Pacific. The lesula monkey is only the second African primate discovered in the past 28 years. 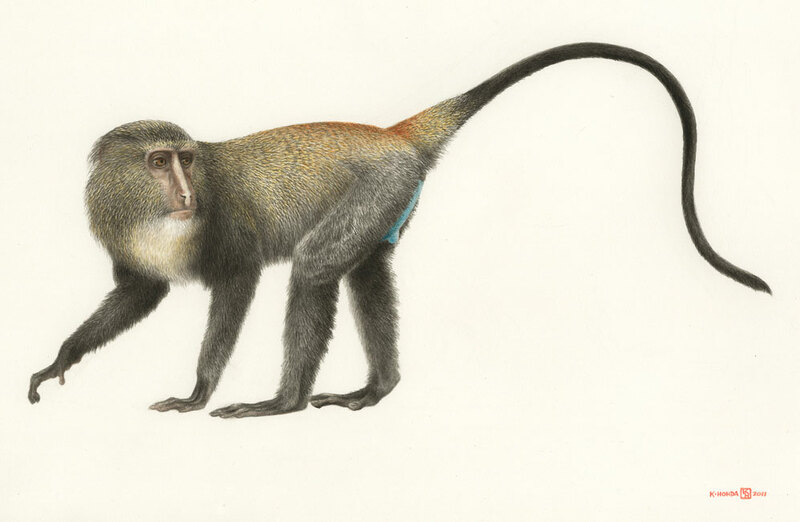 The lesula is part of the guenon family and it most often found the in Democratic Republic of the Congo. The first sighting was actually of a lesula being kept as a pet in the village of Opala but has since been sighted in the wild. Many people say that it has very human looking eyes, but is more often characterized by its bright blue bottom. Although the species is thought to be threatened, it is still hunted by locals for bushmeat. 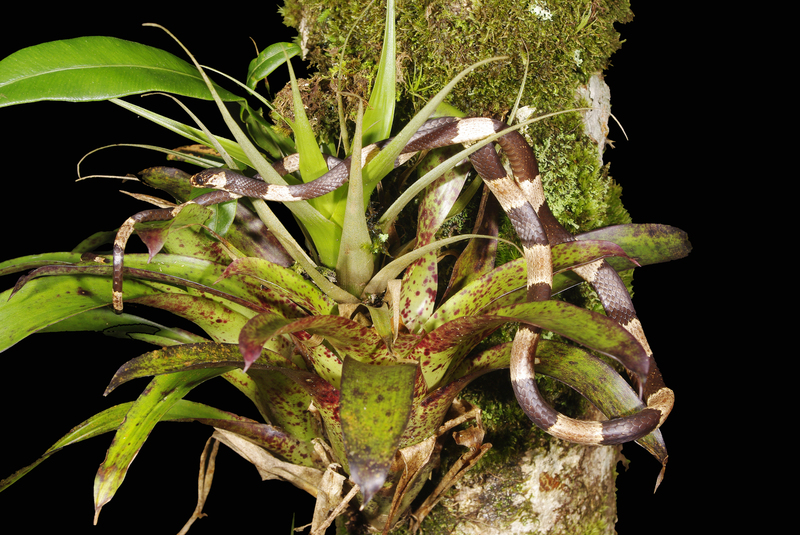 The Sibon noalamina is a species of non-venomous snail-eating snake from Panama. It was named for the Spanish phrase “no a la mina,” or “no to the mine” as it was found in the Serranía de Tabasará where ore mining is destroying the natural habitat, conservationists were hoping to use the name as a campaign to stop mining in the area so the noalomina’s habitat is not completely destroyed so soon after the species is discovered. The Ochroconis anomala made the list because of where this nasty black fungus is found. It is actually threatening to destroy the cave paintings in the Lascaux Cave in France, which contains paintings dating at about 17,000 years old. O. anomala, along with is fungi cousin O. lascauxesis has appeared to have been covering up the famed cave paintings, and threatening to destroy them forever. 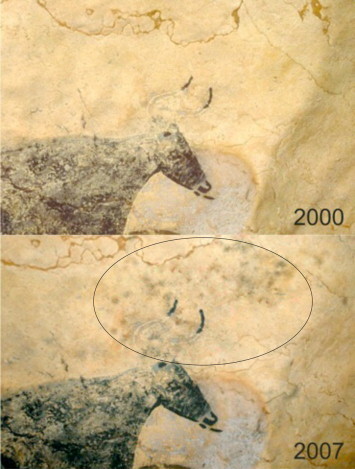 O. anomala actually began showing up after other molds were eradicated that were threatening to cover up the cave paintings, appearing as black splotches among the the white molds already present. 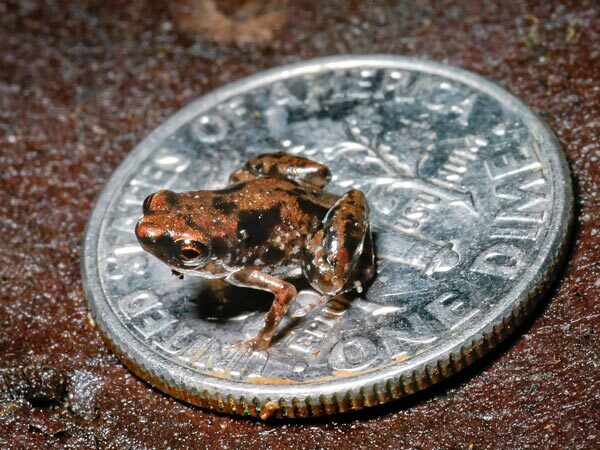 My personal favorite on the list is the Paedophryne amauensis, which is a teeny tiny species of frog that is actually the smallest known vertebrate in the world. They have calls similar to that of the insects that co-habitate the forrest floor of Papua New Guinea and are so small that they are often hard to locate. The tiny frog is only about 7.7 millimeters and actually only has 7 pre-sacral vertebrae, which means that it has a reduced skeleton. Another fun fact is that it’s lifecycle does not include a tadpole stage, and instead, they hatch as miniature versions of the adults (yes, that means that they come even smaller). The only plant that made the list is the Eugenia petrikensis, which is a flowering shrub found in Madagascar. 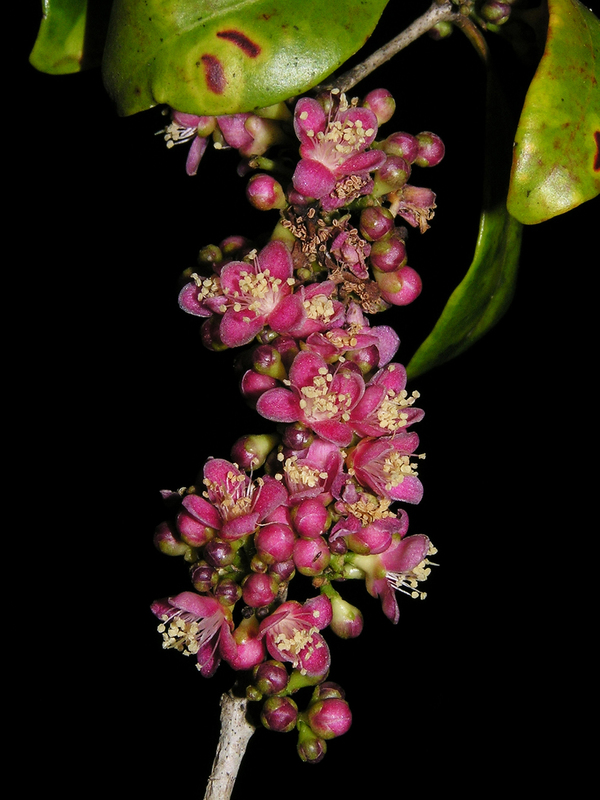 It actually has beautiful pinkish-purple flowers and already has a spot on the IUCN Red List. It’s not to special for a shrub except that it is very pretty. 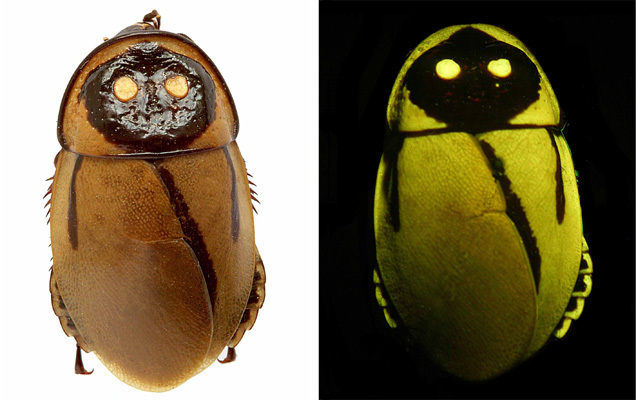 Not many people love cockroaches, but I bet you’ve never run across a cockroach as terrifying as Lucihormetica luckae which actually glows in the dark. In fact, there are a lot of species of cockroaches that glow in the dark. The back of the roach resembles the face of some accent spirit that you just do not want to piss off. I can tell you, I would not be to happy if one of those ran across my wall at night, though I probably shouldn’t be to worried, seeing as they are found on Tungurahura, a volcano in Ecuador. The Semachrysa jade has a pretty interesting discovery story. 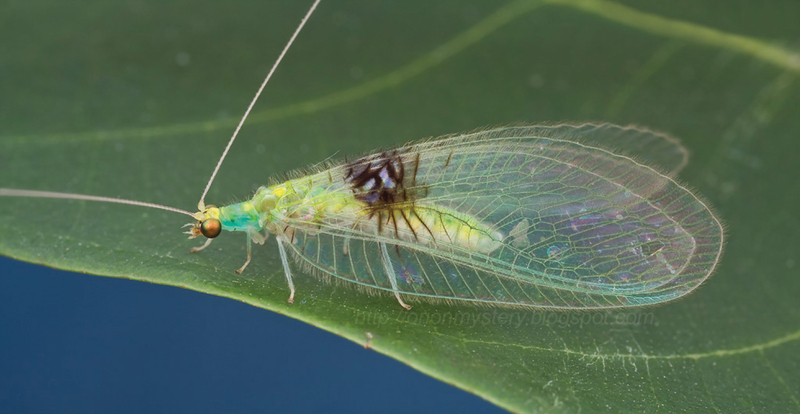 It was actually photographed by an amateur Malaysian photographer and posted on Flickr, where it was spotted by several entomologists who were unable to identify it. Only female specimens have been found so far, all with very characteristic black wing markings. Juracimbrophlebia ginkgofolia. Now say that ten times fast! Okay, fine, you don’t have to. The JG(yeah, I’m not typing that out again) is a fossilized species of hanging fly that lived during the middle Jurassic Period about 165 million years ago. It was chosen to grace the list because of its striking resemblance to the leaves on the branches from which it hung, which is a rare example of biomimicry.